Video Call Recorder it's a VoIP call recording, and also an automatic call recorder, and the best part it's FREE. Video Call Recorder support HD video recorder, a call recorder and phone automatic call recorder. Video Call Recorder uses Accessibility services. Record your calls and conversations with high quality. - Automatic video call recorder. - Play recorded video calls anytime. - Video Editing, delete, rename, share you name it. Set a recording delay timer. - you can easily manage and set your own time delay you choose before start a video call recording or call recording. - Share recording video calls anytime you want. - Delete & Rename voip call recording. 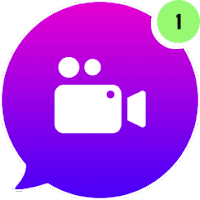 You will see many Video Call Recorder Apps in Play Store but video automatic call recorder has state of the art solutions, this may be the #1 Call Recorder for android. This voip call recording supports Samsung models recently updated to 7.0/Nougat including the Note4, Note5, Note8, S5, S6 & S7, S8 variants.